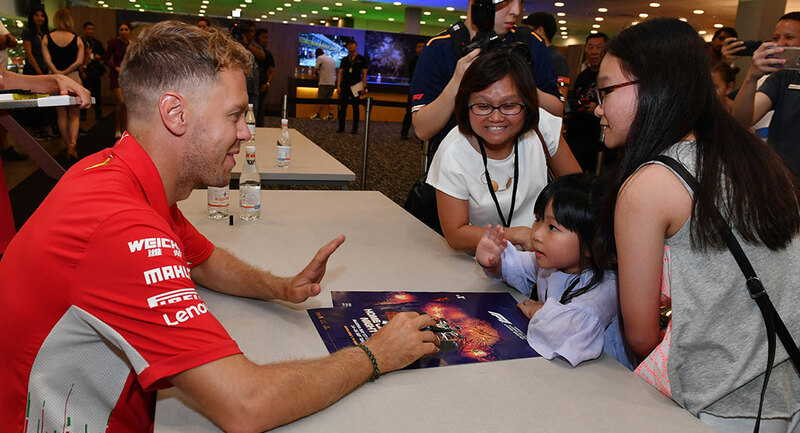 Singapore GP gives you another reason to get your tickets early! 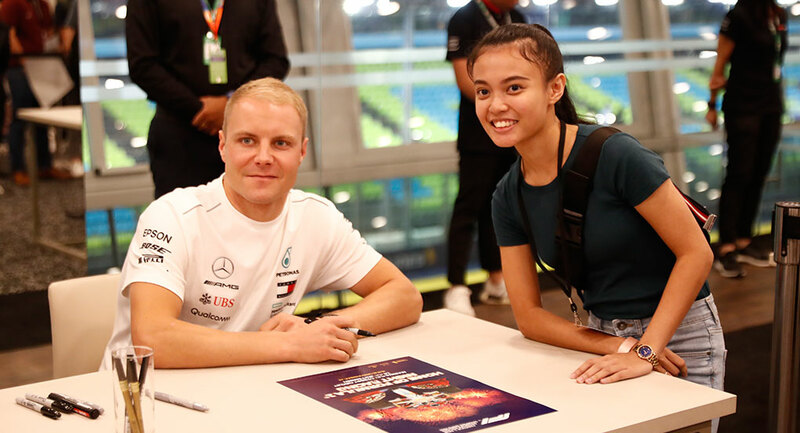 Here's your chance to win exclusive passes to the Drivers' Autograph Session on 19 September 2019, to get up close to your favourite F1® drivers! 15 pairs of passes to the Drivers' Autograph Session to be given away. (1) Simply purchase any FORMULA 1 SINGAPORE AIRLINES SINGAPORE GRAND PRIX 2019 ticket(s) during the Early Bird phase (now until 8 May 2019). (2) Register your ticket transaction number (listed on the confirmation email or receipt) below by 9 May, 11:59PM (Singapore time). * Super Early Bird ticketholders are also eligible to participate in the Drivers' Autograph Session lucky draw. I would like to receive the latest news, promotions and more from Singapore GP Pte Ltd, organisers of the FORMULA 1 SINGAPORE GRAND PRIX. I would like to receive the latest news and promotions from Singapore GP’s supporting partners. This contest is open until 9 May 2019 (11:59 PM Singapore time). This Contest is open to both local and international ticket purchasers. 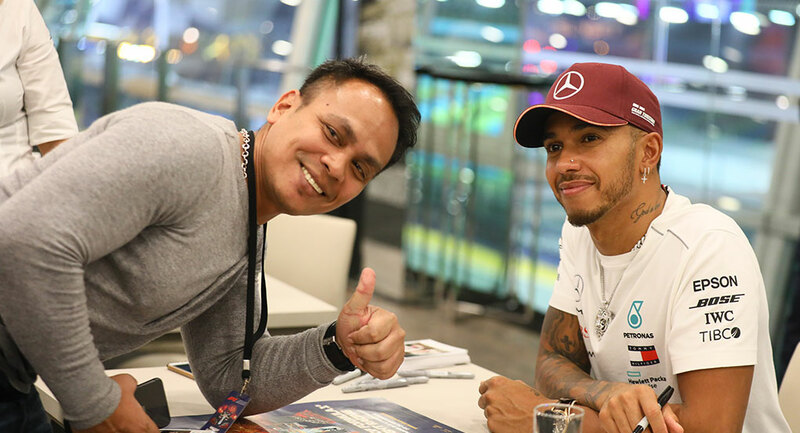 To qualify for the Contest, a booking must be made for any FORMULA 1 SINGAPORE AIRLINES SINGAPORE GRAND PRIX 2019 early bird ticket(s) by 8 May 2019 (11:59 PM Singapore time). Super Early Bird ticketholders are also eligible to participate in the Drivers' Autograph Session lucky draw. Multiple entries will be disqualified. 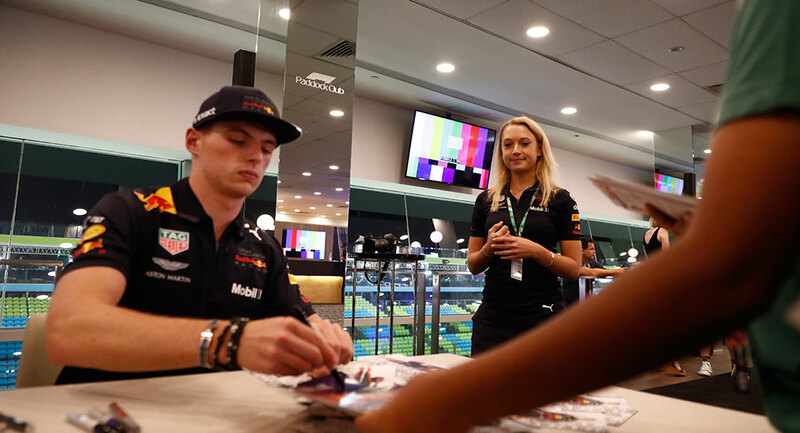 The Organiser reserves the right to disqualify any individual who tampers with the submission process and the operation of Singapore GP website. The Organiser accepts no responsibility for late, lost, garbled or misdirected entries however caused. Only the winners will be contacted and notified of prize collection personally. Winners will be required to produce proof of identity prior to redemption of the ticket. All prizes must be collected personally; unclaimed and uncollected prizes shall be forfeited. Prizes are not transferable, exchangeable or redeemable for cash or other benefit in kind, and cannot be sold to a third party. In the event of a dispute, all decisions made by the Organiser will be final, and cannot be sold to a third party. This competition is not open to employees or contractors of Singapore GP Pte Ltd (the "Organiser"), any person directly involved with the Organiser or the running of the competition, or their direct family members. By participating in this contest, Entrants agree that the Organiser shall not be liable for injury, loss, or damage of any kind resulting from taking part in the Contest. SGPPL reserves the right to use the voice, image, photograph, name and likeness of the winner and guest for publicity or promotional material without additional compensation or prior notice to the winner and guest. In entering the ballot, all participants consent to such use of their voice, image, photograph, name and likeness. The prize winner will be sent a confirmation email of the win in May. 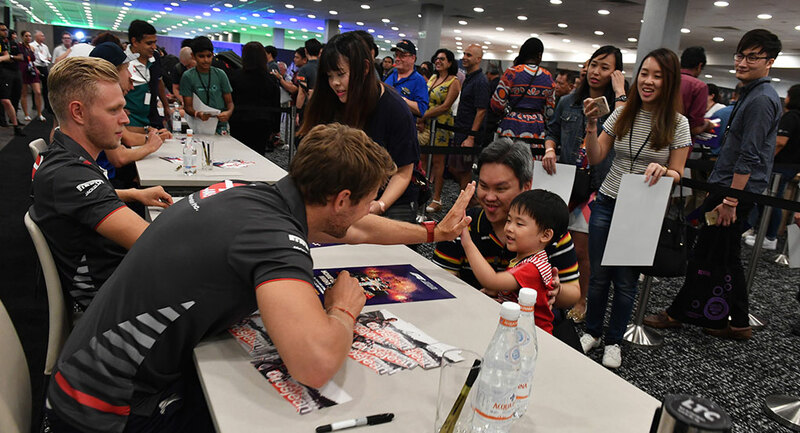 Full details of the Drivers’ Autograph Session will be confirmed by 31 August 2019. This prize is non-transferable and winner must be present in Singapore (flights and accommodation at own expense) on the evening of 19 September 2019 to redeem the prize and attend the session.